Mayor Michael R. Bloomberg and Police Commissioner Raymond W. Kelly today presided over an unveiling ceremony at the Police Memorial Wall in Battery Park honoring 15 members of the New York City Police Department who died in the line of duty in 2011. 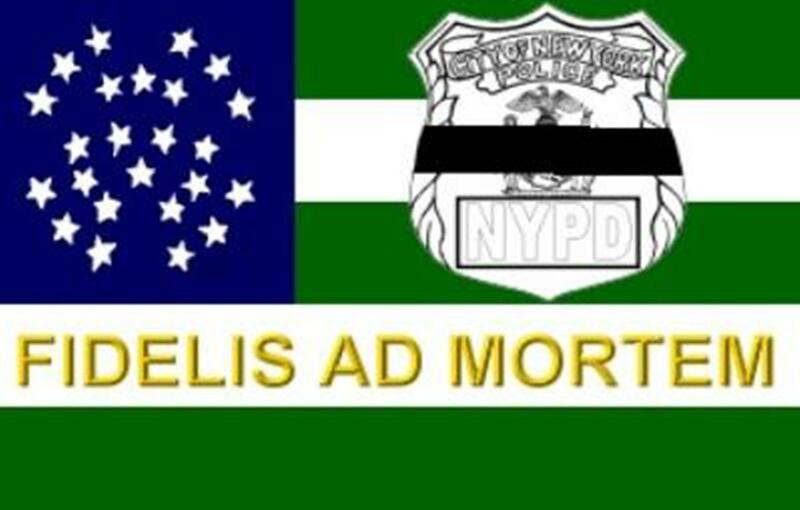 Detective Peter Figoski was killed while responding to a burglary in East New York last December, and Police Officer Alain Schaberger died of fatal injuries sustained during the arrest of a suspect in a domestic violence incident last March. Thirteen other members of the service succumbed to illnesses contracted during the rescue and recovery effort following the September 11th attacks. The names of Detective Figoski, Police Officer Schaberger, Captain Barry Galfano, Lieutenant Jacqueline McCarthy, Sergeant Charles Clark, Sergeant Harold Smith, Detective Kevin Czartoryski, Detective John Goggin, Detective Edwin Ortiz, Detective Joseph Seabrook, Police Officer Robert Ehmer, Police Officer Edward Ferraro, Police Officer David Mahmoud, Police Officer Martin Tom and Police Officer George Wong were inscribed on the granite Police Memorial Wall in Battery Park and unveiled during a ceremony today. Created in honor of those who lost their lives in the line of duty, the Police Memorial is located at Liberty Street and South End Avenue and was dedicated in October 1997. The granite wall with the names of officers and the dates they died are inscribed, a small fountain and the open pool are referred to as the “Sacred Precinct” by its architect Stuart Crawford.